When was there a time that the light of Chanukah was more needed than in our time? This Saturday night, Jews the world over will light the first Chanukah candle celebrating the victory of the Maccabees who restored Jewish dignity and sovereignty nearly 22 centuries ago. We also light our menorahs to cast light against the darkness of resurgent anti-Semitism across Europe, to signal the world our steadfast support for the State of Israel as it defends itself from Hamas missiles, Iranian nuclear threats, and a global campaign to delegitimize the Jewish state and each of us. 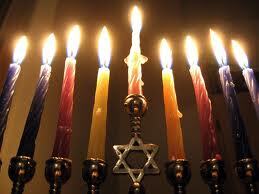 This year we relate, like never before, to the Chanukah blessing, “It happened in those times and again in our time”. Member Observer State at the United Nations, the nations of the world did not serve the cause of peace. Instead they cynically bought into the Palestinian narrative that the obstacle to peace is the removal of the settlements. In reality, the only obstacle to peace is the refusal of the Palestinians and their Arab neighbors, for close to 65 years, to accept the presence of a Jewish state in their midst. And tragically, not a single nation has the courage to say that only the removal of terrorist Hamas will make a two-state solution possible. In our time, we face multiple challenges but with your support the Simon Wiesenthal Center will continue to help man the frontlines - standing up to the haters of Israel and the Jewish people. Please partner with us in this just cause.